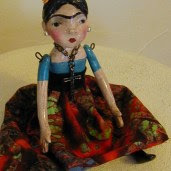 Create your own art doll! use of the beeswax process (optional). Once you sign up refunds will not be given. Looks like a wonderful workshop! One of these days I will have the extra cash to take one. I love your dolls and I love your classes Nancye..